Earlier today, Apple iTunes changed the song preview duration. Previously, you could listen to a song for about 1:30 before purchasing the song. Now, they made a switch back to the 30 second preview. You now have one minute less to decide if you like the song and if you would like to purchase it. IT will not be long before Facebook makes a dramatic change to your profile. Your profile will no longer be a “wall”. It is now changing to be an appearance of a “Timeline”. Facebook’s Timeline is going to have all of your posts, events, etc. in chronological order from the date you created your Facebook account. Whenever someone writes on your wall, or you update your status, add photos it will be put on your timeline on that date. You can view Facebook’s official trailer at the upcoming change. As of today October 5th 2011. Steve Jobs has been announced dead. Apple has confirmed his death. 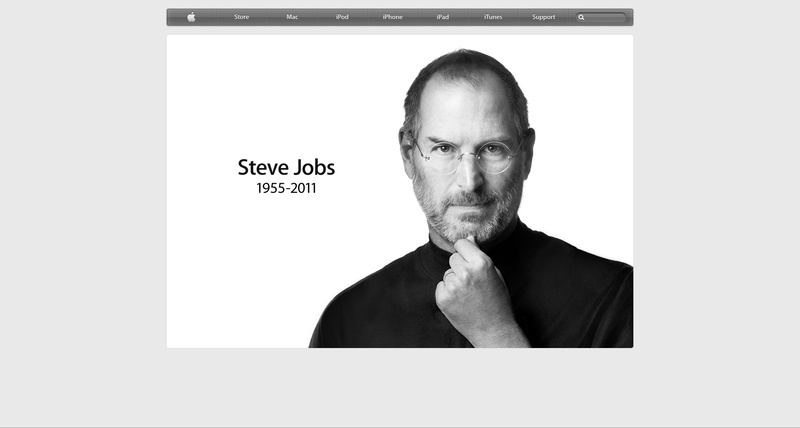 The Apple Home Page has been set to remember Steve. Rest In Peace Steve, you will be missed. Steve Jobs has been announced dead as of October 5th 2011. The picture below is a screenshot of Apple’s home page. Steve Jobs Rest In Peace, You will be missed. TODAY at Apple’s special event Apple released a few new products. More articles will becoming later today on each individual product.